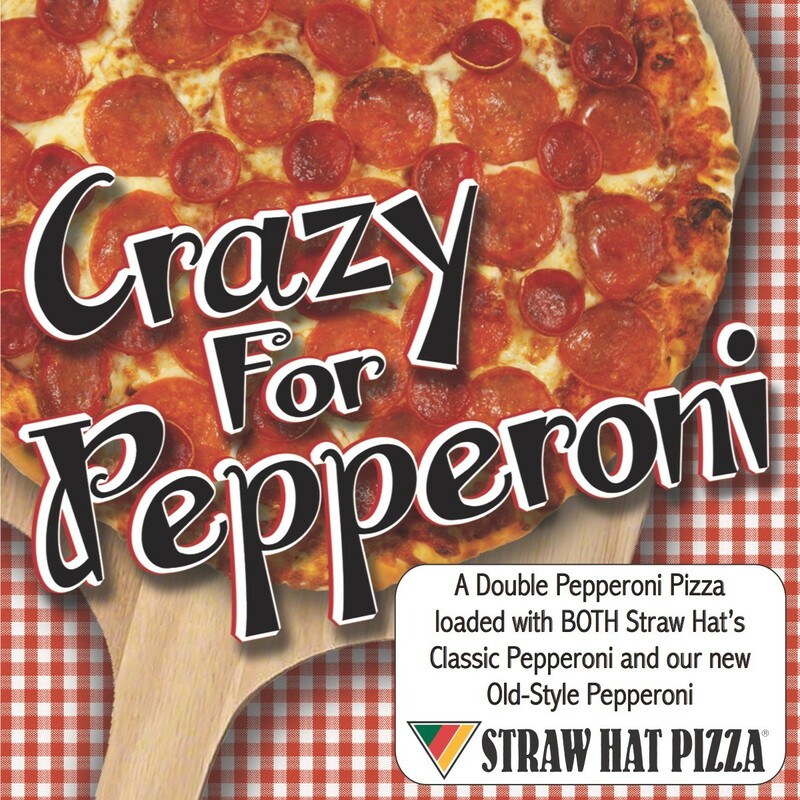 Straw Hat Pizza is happy to introduce a new topping - Classic Cupping Pepperoni - featured on two new pizzas. Classic Cupping Pepperoni sometimes referred to as mini-Pepperoni is an older style that has made a comeback. Unlike regular pepperoni that lays flat on the pizza, Classic Pepperoni will "cup" curling up at the edges. It has a slightly bolder flavor than our regular pepperoni. 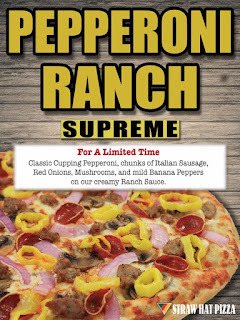 To highlight this flavorful pepperoni, we are adding two new pizzas to our lineup: The Crazy for Pepperoni Pizza and the Pepperoni Ranch Supreme Pizza. 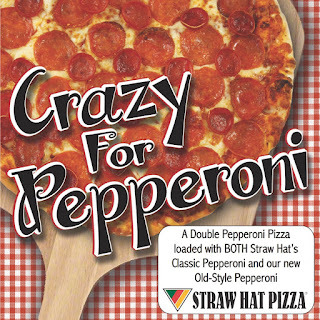 The Crazy for Pepperoni Pizza features both our regular pepperoni and the new Classic Cupping Pepperoni. 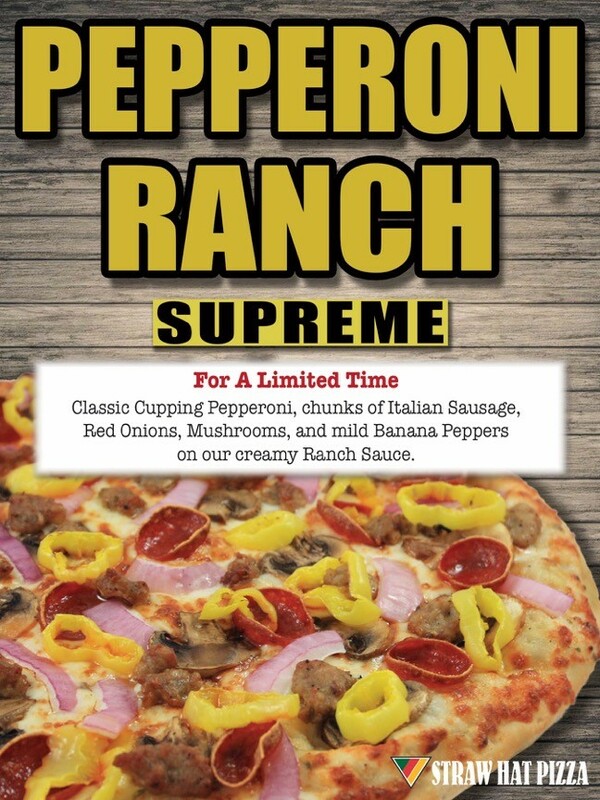 The Pepperoni Ranch Supreme has our special White Ranch Sauce as a base, covered in our blend of cheeses with Classic Cupping Pepperoni, Italian Sausage, Red Onion, Mushroom and Banana Peppers. Both are available for a limited time. The Straw Hat Pizza in Cerritos, CA now sporting 14 Beer Taps with some great Brand Choices. 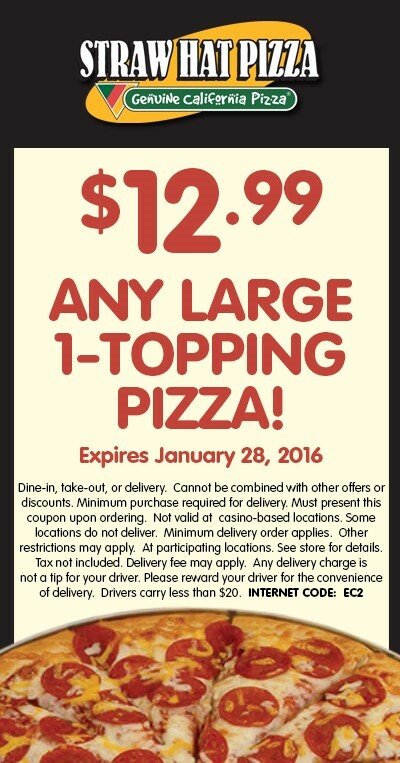 Watsonville Straw Hat Pizza Recognized as Great Place to watch Warriors Play! "Watsonville High basketball coach James Gomez said his favorite spot to catch any game is Straw Hat Pizza in the Safeway Shopping Center. 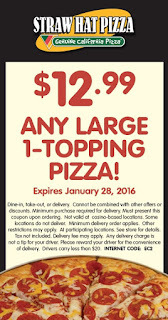 Straw Hat Pizza has more than 30 televisions scattered around the restaurant and has deals on pizza: $3 off a large and $4 off an extra large pizza." Best spot to catch the NBA Finals in Watsonville?